Rubber Flooring is very popular for high traffic Commercial areas such as Schools and Educational buildings, Retail establishments, Hospitals and other public buildings. A wide range of colours and textures are available, often giving a striking vivid look. May Flooring Limited supply and install Rubber tiles from manufacturers such as Polysafe – for example the Saarfloor-Systems Noppe Stud rubber tile. This tile is a popular solution as it is strong, tough and resilient. A highly durable product and comfort underfoot. Sound and impact absorbent – thick rubber tiles can act as a sound barrier between floors in a building. Rubber is nonporous and can take basic liquid spills making it a popular choice for classroom wet areas etc. Fire and burn resistant – rubber is resistant to burns left from cigarette butts and other small heat sources. Low Maintenance – rubber tiles are easy to clean. 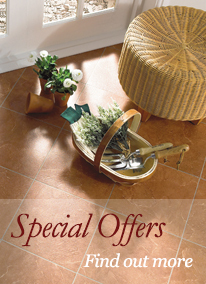 Individual tiles can be replaced with easy in the event of damage, without the need to replace the whole floor area. For more information on Commercial Rubber Flooring please contact us or call us on 01635 32999 to discuss your requirements.